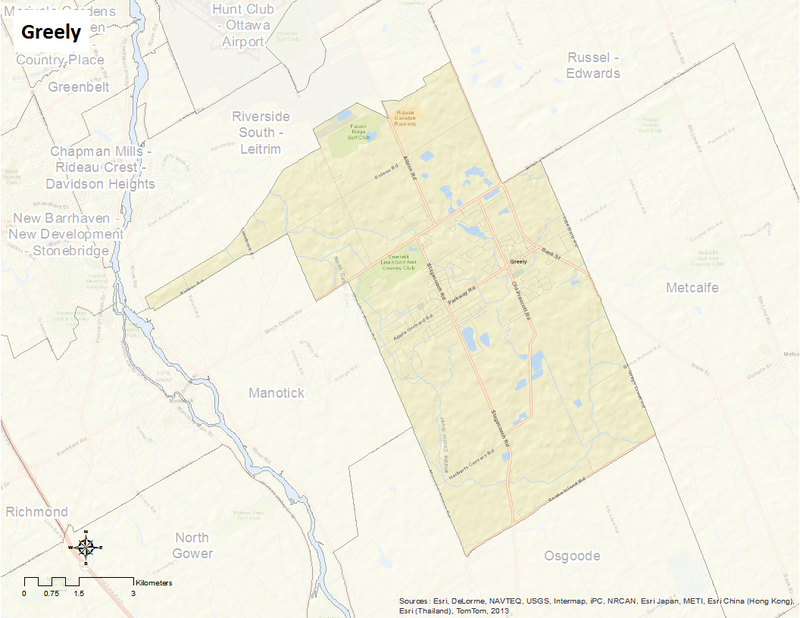 Greely is bounded by Highway 417, Leitrim and Rideau Roads (approx.) to the north. To the south are Snake Island, Apple Orchard, and Manotick Station Roads. To the west is the Rideau River and to the east are 7th Line, Mitch Owens, and Boundary Roads. The neighbourhood includes the communities of Greely, Emerald Links, Suncrest, Manotick Station, Enniskerry, Ficko, Bowesville, South Village, Cedar Lakes, Watersedge, Sunset Lakes, Woodstream, and Greely Orchard. Here is an infographic that describes the neighbourhood as a Village of 100 (2011 data).